According to historical records, what you’re about to read never happened. 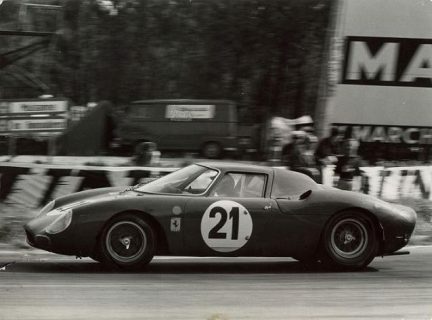 In June of 1965, the 33rd Grand Prix of Endurance, the 24 Hours of Le Mans, was held, as usual, at the Circuit de La Sarthe and was ultimately won by the North American Racing Team’s #21 Ferrari 250LM. 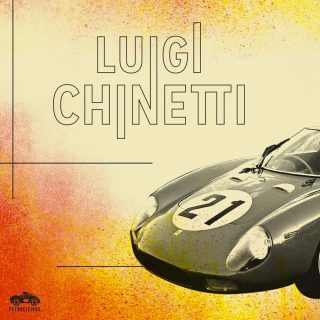 It beat out various other Ferraris as well as the arguably favored Ford GT40s and was piloted by Masten Gregory and Jochen Rindt. But some reports indicate that a third, unregistered driver did a stint behind the wheel. By midnight, all of the Fords had retired for one reason or another leaving the Ferraris to fight it out. As the night air cooled, fog descended shrouding the circuit in gauzy darkness. 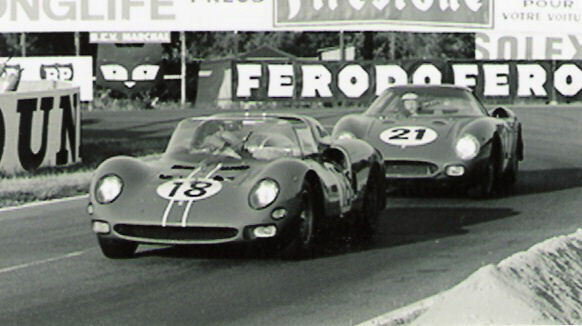 Masten was on the track and the 250LM was running well, having overcome an ignition issue. It wasn’t leading, but it was in contention when Masten pitted, likely due to issues stemming from his vision. Masten screeched to a halt in the lonely pits during the small hours, and a frantic search began for Jochen. Unfortunately, he was nowhere to be found. And why wouldn’t Jochen be around? Well, it seems that he arrived at Le Mans rather late with some sources indicating that he only arrived in time for the last practice period (due to contractual conflicts) and didn’t seem to think the Ferrari would be competitive. Some anecdotes even claim that he had made dinner plans in Paris for that evening! And others claim that he drove the car hard, hoping that something would break. Regardless, Gregory jumped out and Ed Hugus jumped in. Wait, who? 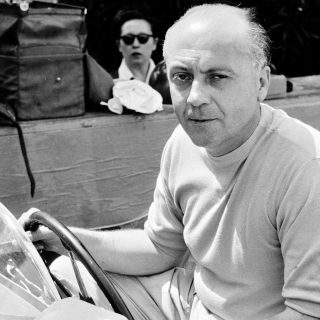 You might be wondering who Hugus is and I don’t blame you, as he was never listed as a Le Mans winner nor was he even mentioned as a driver of the #21 NART Ferrari. But he was very competitive in top-tier sports car racing (finishing, nearly always in the top ten, at Sebring, Le Mans and many others) and was the first Shelby dealer. Being a Shelby dealer or even a racer obviously doesn’t mean he could’ve driven the car though. 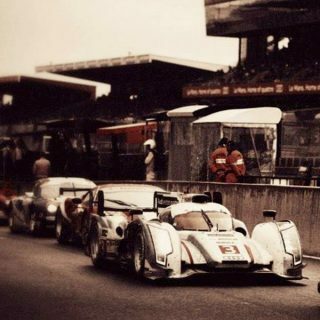 But, Hugus was at Le Mans and he was actually a NART driver. 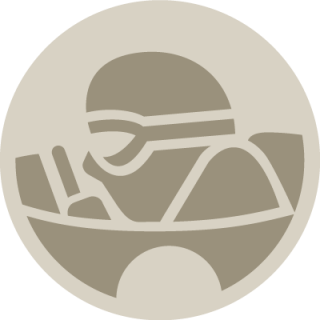 In fact, originally he was supposed to drive a different car that wasn’t completed in time for the race. But apparently, if you believe the story, he was in the pits, jumped into the 250LM’s cockpit, and drove the car while Gregory rested and Rindt was located. 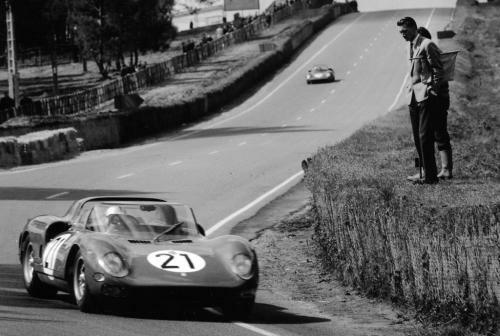 He had the experience to drive too, as this would have been his tenth consecutive year behind the wheel at Le Mans. So he strapped in and headed into the dark, pea-soupy night in the wailing three-point-three liter Ferrari. His drive was solid and the Ferrari gained several seconds on the leader with each lap, allowing them to make some of the time lost struggling with the aforementioned ignition problem. Around the time the sun began peeking over the horizon and the groggy track, Masten jumped back in. 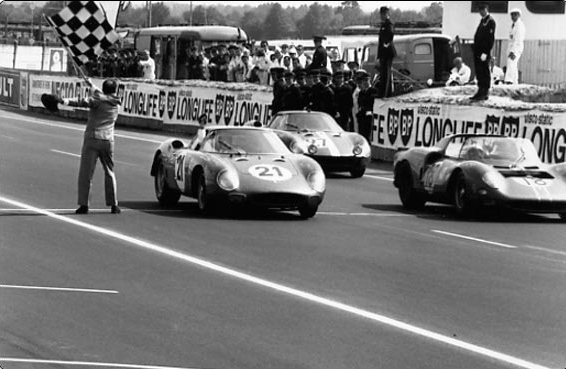 Ultimately, the Pierre Dumay Ferrari 250LM leading the race suffered a tire deflation that also damaged some of the Belgian-yellow bodywork allowing the NART Ferrari to make up the one minute difference and finally win the endurance race. But here’s the problem: officially none of this ever happened! 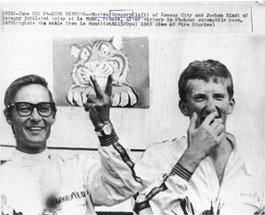 The race results show Gregory and Rindt as the winning drivers. There is no mention of Hugus even being an entrant in the race. 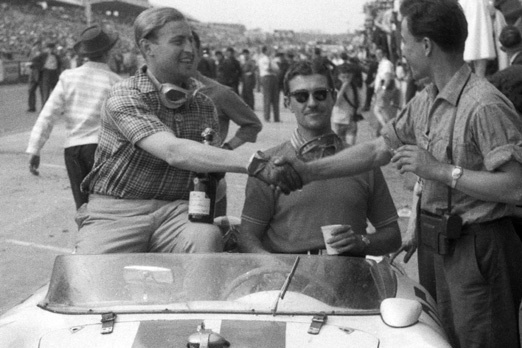 And photos of the podium celebration only show Gregory and Rindt. So how could this French suburban-legend spring up? The one point that reconciles the claims and circumstantial evidence is that according to historian Dr. János Wimpffen, Hugus was listed as a reserve driver, as Wimpffen himself saw the demande d’application. 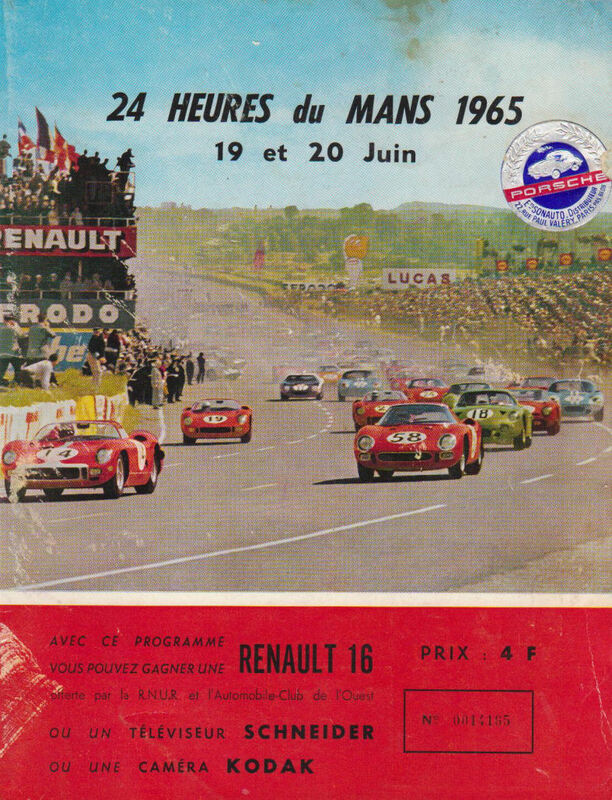 The issue is that the Le Mans rules at the time stated that if a reserve driver drove the car, the driver who was replaced couldn’t get back in the car. 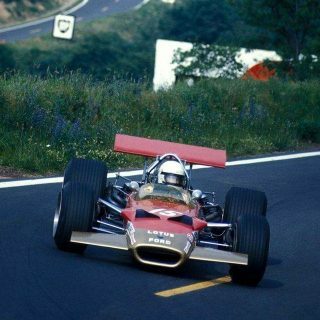 So if any ACO officials had seen and recorded both Ed climbing into the car for either Gregory or Rindt and one them returning to the car later, the team would have been disqualified. So what actually happened? Well, the #21 NART Ferrari 250LM won, and was definitely driven by Masten Gregory and Jochen Rindt. The evidence supporting Ed Hugus’s drive seems to have been downplayed in the time following the race as no one on the NART team wanted to risk a disqualification. And to this day, the official records make no mention of him and all of the people involved have sadly passed away. I’d like to believe that Ed did drive that car. That fifty years ago, with most of the press and officials either drunk, asleep or both, with most of the pits vacant, and memories blurred by the shadowy gloom, things were overlooked perhaps by accident or out of convenience. Either way, it was the last 24 Hours of Le Mans that a Ferrari would ever win. Who drove the car to victory? That you’ll have to decide for yourself. 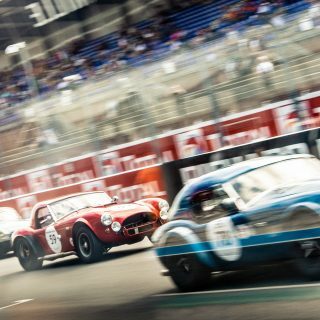 Journal How Are You Watching The 24 Hours of Le Mans? This story appeared in the Italian magazine “Ruoteclassiche” in January this year, complete with a facsimile of a handwritten letter from Ed Hugus dated 24 May 2005 in which he says “I finished the last hour or so of Masten’s part” and that the pit officials were “too busy behind the pits with a wine bottle” to take note of what was going on. The letter looks genuine and “Ruoteclassiche” is generally an authoritative source on such things – i.e. they wouldn’t print the story unless they had checked it with people in a position to know what happened. Interesting article. Your 3rd picture is from Le Mans 1964 and shows car number 21 which is a 275P #0820 driven by Mike Parkes and Lodovico Scarfiotti. 3rd pic on the bottom I meant to say. ..kind of cool that we’ll never know the truth!